Only two weeks to go in our 2018-2019 sailing season. We will be holding a Boat owners / skippers meeting at 10:00 am on Saturday 6 April at the clubhouse. In preparation for that I will be sending out a survey that can be filled and returned if you are unable to attend and this survey will form the agenda of the meeting. Last Saturday saw the final race in the RM MacKay/Whitworths RK Robertson series. RKR Club Shield: WASC for winning the RKR Club Shield. Final club points were: WASC 154.33 Points, RMYCT 169.80 Points, LMYC 181.19 Points and SLMASC 212.00 Points. Green Division John Lattimore and Michael McDonald, LMYC Stampede, 14.5 points, Mark Worsley, LMYC Wicked, 17 points, Jason Johns, WASC Liquid Force, 36.5 points. Blue Division Scott Hamilton, LMYC Pogue Mahone, 17 points, Greg Nolan and Tony Croese, LMYC Topaz, 29 points, Steve Upton, LMYC Midlife, 42.5 points. Along with the interclub challenge and the divisional results we also run an overall series. Congratulations to Scott Hamilton in Pogue Mahone 1st with 19 points, Greg Nolan and Tone Croese, Topaz 2nd with 46.5 points and John Lattimore and Michael McDonald in Stampede 3rd on 54.0 points. The previous week was the final race in the Phillips Sails Pulbah series. Div 1 was a very close result with only 1 point between the top 5 boats. Results were all decided on count back. 1st Squid4Woodsey, Steve Liddell, 2nd Ignition, Ian Bower, 3rd Fathom, David Berryman. Div 2 Not quite as close but still a count back for 3rd place. 1st Stampede, Lattimore and McDonald, 2nd Mortica, Geoff Gardner, 3rd Finished Dreaming, Stephen Shutz. Div 3 No count backs here with clear results. 1st Echo Beach, Phillip Matthews, 2nd Pogue Mahone, Scott Hamilton, 3rd Treka, Roger Mostyn. The last of our BUYABOAT Bay series races is this Saturday 23rd and finishing the Season on the 30th of March with the final NEWCASTLE SKIN CHECK Pursuit race. As always there will be the post season celebrations with Crusoe’s On The Lake doing meat and gravy rolls after the racing for our sailors. In Div 2 Warren Hodgkins on The Apple, has 11 points lead with David Kelty, Mirage, 2nd and John and Anne Skillicorn in Scaramouche filling the 3rd place on the ladder. The Wednesday Winter Point-score and Sweepstake Series will commence on Wednesday 10th April when the two divisions of the Summer Series will change to one combined division. In line with this change each boat’s handicap will be reviewed, based on recent performance, and where appropriate adjusted to reflect the change to one division. Only two more Friday Twillight races remaining. Starts are 17:30. Again this year we have scheduled a Good Friday race starting at 1400. Good Friday this year is 19 April. 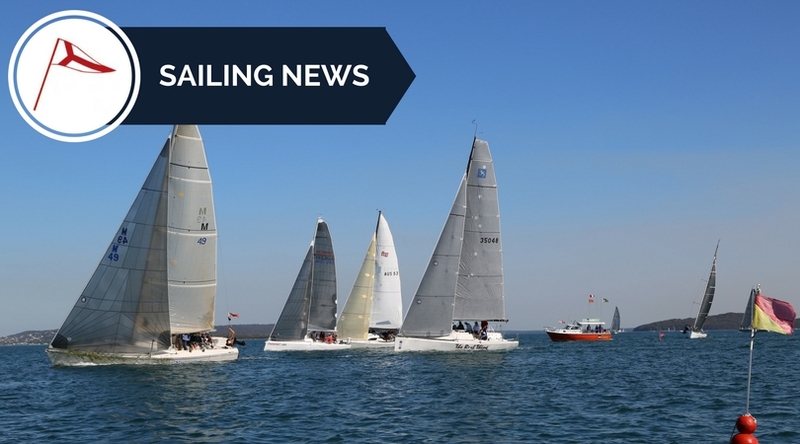 LMYC hosted both the NSW and National championship for the Melges 24s. Firstly I would like to thank our race officers for a job well done. They raced from 9 March right through to 15 March with only one day off. Congratulations to LMYC sailors Tim Cummings, Skipper of Kraken 2nd in both Championships. We will have ‘MISBEHAVE’ as entertainment. Tickets are $70 per person and are on sale at reception. LMYC team win Grand Masters Trophy at Etchells 2019 Victorian State Championship. Jill said “It was wonderful to be sailing with Wade & Gordon again in a well organized Championship. We particularly enjoyed breezes in the high 20 knots on Sunday, and when Odyssey was flying in gusts above 30 knots. Exhilarating”! Do you have any stories that our members would be interested in. I am always looking for stories to share. Send me your stories and I will include in the newsletters.